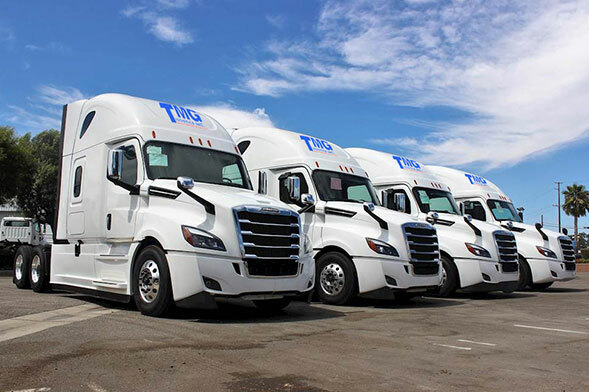 We operate substantial fleet of units of which 90% are teams, hauling general freight, produce, meat, fish and nursery stock throughout Canada and back and forth to all area’s of the United States of America. We also provide Hazmat service throughout Canada and to and from the continental United States. The on time percentage of our temperature controlled fleet is second to none it the industry. TMG Logistics Inc. is also a Canada and US bonded Carrier. Our fleet consists of 80 reefers and 30 dry vans, with flat decks, step decks and super B’s available through our partner carriers. All of our equipment is air ride and our extensive maintenance program keeps every piece in excellent running order. We also operate a full service logistics division that provides our valued customers with every option available to relocate their freight no matter where it originates from or where it is destined to. This division provides intermodal service throughout North America as well as ocean and air shipping to international destinations. We are very selective of our partner carriers, and hold them to the same high standard we set for our own fleet. The only thing that differentiates between carriers in this day and age is service, and this is where we lead the pack as we place service and safety above all else.